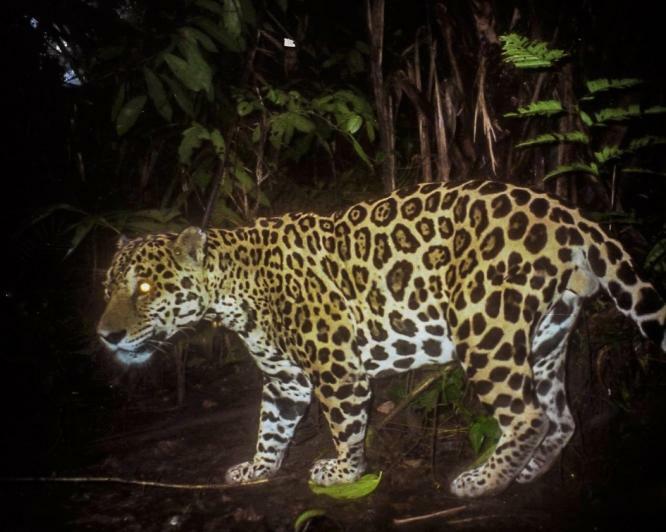 At the beginning of the survey, respondents were asked to identify jaguars, pumas and ocelots from photographs. Only respondents who could distinguish between these species were included in the analysis. In both study areas, the majority of respondents were male. Researchers asked 32 questions to assess their socioeconomic status, personal experience with jaguars, perceptions and attitudes about jaguars and perceptions of the park and its management. A higher number of respondents in Darién had personally seen a jaguar in their lifetime. Communities in Darién report more livestock losses: Six respondents in Darién reported 33 predation events involving cattle, whereas only one reported a predation event in Cerro Hoya. Nearly a third of respondents at Cerro Hoya admitted to hunting within park boundaries during the previous year, their preferred prey being the collared peccary, Pecari tajacu. No respondents in the Darién National Park group said they had hunted in the park in the previous year, but those who had in the past preferred the spotted paca, Cuniculus paca. Women in the survey were more likely to agree than men that they would be happier without jaguars. Panthera, the McIntire-Stennis Cooperative Forestry Research Program and GEMAS/Fondo Darién provided funding and the Department of Forestry and Cooperative Wildlife Research Laboratory at Southern Illinois University, Peace Corps-Panama the Azuero Earth Project and Panama’s Ministry of the Environment (MiAmbiente) provided additional support and permits.